Pradip Shankar was Vice-President, Ericsson Strategic Investments (ESI), Ericsson’s Corporate Venture Capital organization which he helped formulate and start. Pradip/ESI invested in areas such as cloud, IOT, network infrastructure, media etc. Pradip has extensive business and engineering experience in the computer and communications industry in both startup and corporate settings. His startup experience includes NetBoost Corporation where he was a Founder and VP of Engineering. NetBoost was venture funded and developed a platform for network infrastructure applications. NetBoost was acquired by Intel Corporation where Pradip served as a General Manager. As a GM at Intel, Pradip established and led business units in San Jose and Bangalore. Pradip also did two other startups; one related to using mobile devices as a diagnostic front-end for technical support and the other related to content distribution. Prior to Intel and NetBoost, Pradip worked at Sun Microsystems as Director of Engineering for HPC. He also worked on Sun’s first set of UltraSPARC workstations and Sun’s first Unix MP. Pradip started his career at Hewlett-Packard developing network and storage interface products. Pradip is a graduate of The Wharton Advanced Management Program. He has a Master’s Degree in Electrical and Computer Engineering from University of California, Santa Barbara and a Bachelor’s Degree in Electronics from Bangalore University. 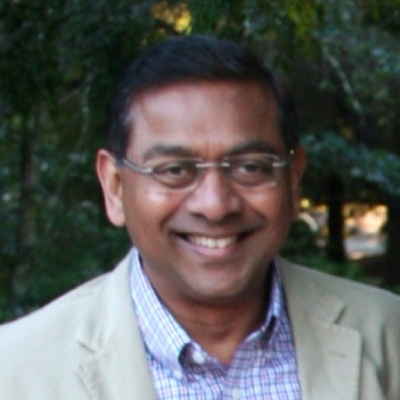 Pradip is a Charter Member of TiE - a global organization fostering entrepreneurship, ex-chair of the Cloud SIG for TiE-Silicon Valley, and occasional angel investor. He holds 8 patents.